'... abounds in beautiful things played with great technical command and tons of feeling'. "Brightmore performs exquisitely. He brings to the music scrupulous interpretative clarity and a vivid identification with all he plays'. Ten minute interview on location at the Guildhall School of Music, London. 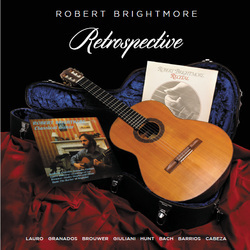 Robert Brightmore has received impressive critical and public acclaim. He made his debut at the Wigmore Hall in 1975 and has since performed and broadcast in many parts of the world. 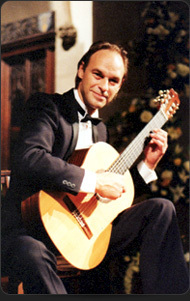 Concert tours throughout Europe, Scandinavia, Brazil, Australia, the Far East, USA & Canada, together with performances in London's major concert halls and appearances with leading orchestras, such as the 'Philharmonia' and the 'Bournemouth Sinfonietta', have earned him an international reputation. His many appearances in Great Britain have included recordings forBBC Television and BBC Radio. 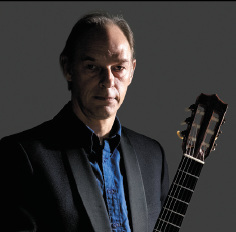 Along with performing commitments Robert Brightmore is professor of guitar at the Guildhall School of Music & Drama, London, where in 2003 he was made a Fellow for distinguished services to music and the school.